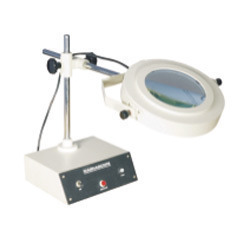 Pioneers in the industry, we offer digital potentiometer, millikan's oil drop apparatus, laminar air flow, magnetic stirrer, atomic model set and hot air ovens from India. 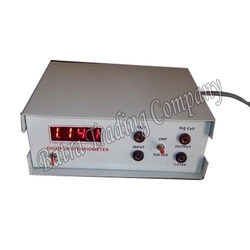 Well-known in the industry as one of the eminent manufactures and suppliers, we are engaged in offering Digital Potentiometer. Demanded in chemical and various other industries, the offered potentiometer is developed by our expert team of professionals. 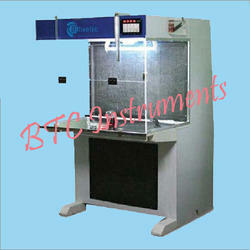 Additionally, we are committed offer best-in-class products to customers. Acknowledged in the industry for manufacturing and supplying, we are offering Millikan's Oil Drop Apparatus. At our sophisticated infrastructure unit, the offered apparatus is manufactured with precision using optimum-grade materials that are sourced from accredited vendors. Before final dispatch, the offered apparatus is checked by our team of quality controllers to ensure flawlessness. The K-System encompasses the specialist requirement of ocyte, sperm and embryo handling during procedures in both animal and human reproduction. The K-system is often built into a Laminar Flow Cabinet. The utensils are warmed by the heating of part of the table plate of the cabinet. 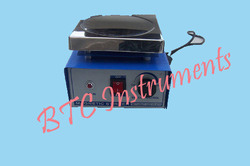 With our vast industrial experience, we have came up with a wide range of Magnetic Stirrer, which is widely acknowledged for their heavy duty. 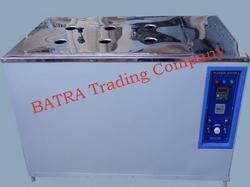 These products are available with stainless steel hot plate, tray with drain and also come with PMDC motors. The offered range of products distribute torque even at lower speeds and maintain speed stability despite viscosity or volume changes. These sets consist of moulded balls of different colours and sizes along with connecting lugs of different sizes. 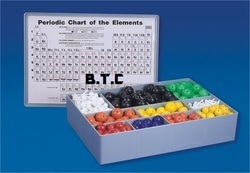 These sets are very helpful in modeling different organic & Inorganic compounds. Two Different Sizes: SENIOR SET: This set consists of 185 lugs 370balls of prescribed colours & sizes packed in a moulded box having separate for every particular colour & size of ball. JUNIOR SET: This set consists of 37 connecting lugs & 75 balls of different colours & size packed in a moulded box. Enriched with vast industry experience, we are engaged in manufacturing and supplying a wide array of Hot Air Ovens. The offered ovens are applicable for various industrial purposes and are manufactured without compromising on the quality. Apart from this, we are providing these ovens at industry leading prices. 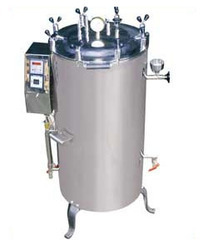 Reckoned in the industry for manufacturing and supplying, we are offering our clients with Vertical Autoclave. 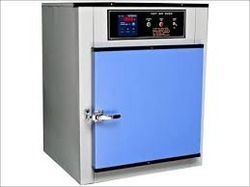 Available in standard and customized specifications, the offered autoclave is provided at market leading prices. Meeting the demands of clients in efficient manner, we have mustered huge client-base across the nation. Standard Fitting for Standard Model: Safety valves, Pressure gauge, Air release valve, Water level gauge glass, Chamber drain valve, Jacket drain valve, Water inlet valve, Plug with cord. 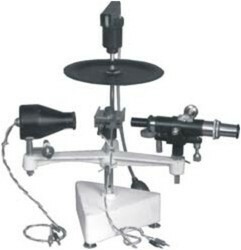 Standard Fitting for Semi-Automatic Model: Safety valves, Pressure gauge, Air release valve, Water level gauge glass, Chamber drain valve, Pressure control switch, Low water level switch, Electric control panel equipped with contactor, Indicating lamp, Plug with cord. Working Pressure : 1.26 kgf/cm.Sq. Temp. Range : 5°C above ambient to 95°C. Temp. Accuracy : ±2°C with drop on lid and rings. With 6 holes of 7.5 Cm dia. With 12 holes of 7.5 Cm dia. Accuracy : ±2°C with drop on lid and rings. Temp. Range : 5°C above ambient to 60°C. Temp. Accuracy : ± 0.5°C. Supplied without racks, thermometer & lid. 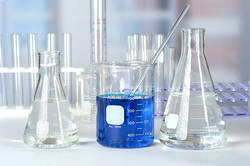 We process Borosilicate glass, which meets the highest laboratory demands in accordance to the international standards. Each and every product is duly checked at every processing stage, thus ensures the best quality product. Our goal is to offer an excellent level of quality, service and support at best price. A versatile presentation aid. It dispenses away the use of chalk on the black board. This is infact the cleanest method used in conference rooms and lecture rooms. 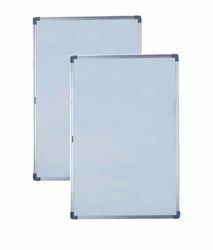 These are framed with aluminium angle and large size boards can conveniently be used as projection screen for OHP and slide projectors. The instructor can write with a specially designed marker pens available in 4 beautiful colours and the writing can be wiped off with an ordinary cloth. 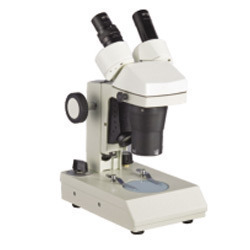 Looking for Chemistry Lab Instruments ?